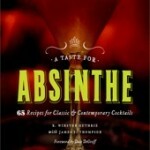 It’s true, some absinthe lovers are zombies and that is why when I met Liza, I asked her for the recipe for zombie punch. Liza, who literally helped write the book on absinthe (she took the photos for A Taste for Absinthe) looks a little like the green fairy (another name for absinthe) come to life. If you don’t believe me, check out her picture on the website. Liza is a freelance photographer and writer and expert world-traveler. She’s passionate about people, culture, and food, and her work has been featured in Outside Magazine, SF Gate, San Francisco Chronicle, Seattle PI, Tasting Panel Magazine, C Magazine, Marin Magazine, and 7×7 to name a few. 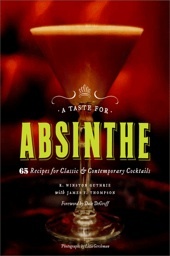 Her cohorts on the absinthe book are absinthe expert R. Winston Guthrie and James F. Thompson, who we must thank for all the lovely information on absinthe and for an awesome collection of cocktails to die for.